No one would have imagined in late 2012, at the start of Xi Jinping's tenure as president of China, that by September 2015 leaders from three U.S. allies would attend an extravagant military parade put on by Beijing to celebrate the end of the Sino-Japanese War 70 years ago. But there they were -- President Park Geun-hye of South Korea, President Miloš Zeman of the Czech Republic and Deputy Prime Minister Prawit Wongsuwan of Thailand -- standing near President Xi earlier this month surveying the impressive display of modern military might. America is still the world's only superpower, but China is gradually catching up. China's economy has become the second largest in the world, and the leadership is speaking with a louder voice in international affairs. And while historically China has eschewed building formal alliances with other countries, even that policy is slowly shifting: Beijing is courting new partners, including allies of Washington like President Park and others. But for China to become a superpower like the United States, Beijing needs a new strategy that fully embraces genuine alliances, and not just so-called "strategic partnerships." True allies are most often bound by treaties that commit each country to defending the other in times of security, conflict or war, while "strategic partnership" is only a nice diplomatic jargon for a bilateral relationship involving any number of agreements -- often economic in nature -- that falls short of true alliances. The concept of alliances has been anathema to Beijing since 1982, when China adopted a non-alignment policy to avoid getting entangled in the Cold War. This position reduced the risk of being dragged into conflicts among other states, especially between the U.S. and the Soviet Union, while allowing for more independence in policymaking. Later on, freedom from diplomatic obligations was a policy that allowed China to focus energies on building its economy. China's current list of friends is no match for America's. China's current list of friends is no match for America's. At present China has established about 70 "strategy partnerships" or "cooperation partnerships," including with many American allies, such as Britain, France, Germany and Italy. These friendships are mostly economic in nature, not traditional, full-fledged military alliances, whereas the U.S. has about 60 full-fledged treaty allies that involve military cooperation. By that standard, China has only one full-fledged ally, namely Pakistan, which signed a joint statement with China to upgrade their relationship to an "all-weather strategic partnership of cooperation" early this year. The ordinary strategic partnership cannot consolidate the bilateral strategic cooperation as reliably as a military alliance. The fundamental difference between domestic society and international society is that there is no central government monopolizing military power in the latter. Thus all states without enough military capability to protect their own security have to rely on a foreign military power or organization for the sake of survival. In comparison with economic aid, military protection is more crucial for the secondary or small states. Surrounding countries will support China to achieve national rejuvenation if in return it provides security protection to those states by making alliances. In the absence of that kind of promise, these neighbors fear that China could use military might against them. In terms of strategic competition with the U.S., China also needs more military allies in order to maintain a political balance in East Asia. Due to the world's center shifting from cross-Atlantic to the Asia-Pacific, it is very possible for the U.S. to strengthen its Asia-Pacific rebalance strategy if it wishes to constrain China's rise. China will be able to shape a favorable environment for its national rejuvenation if it resumes its alliance tradition from before 1982, especially making new alliances with American allies in Asia Pacific. The more U.S. allies in this region become China's allies, the slighter chance for Washington's rebalancing strategy to achieve its goal. Although the presence of many foreign heads of state at the military parade shows China's foreign strategy is slowly shifting towards developing more military cooperation with as many countries as possible, the strategy is also faced with another obstacle related to the non-alliance principle, namely economic determinism. In the last three decades, economic achievement has dominated the minds of Chinese people, and thus "improving political ties with economic approaches," called yi-jing-cu-zheng, has become the dominant form of China's diplomacy. Economic partnership is better than no strategic cooperation, but it does not have the same impact as military alliance on bilateral strategic relations. It is hard to imagine that China can become a leading world power without a majority of its neighbors accepting its role as the regional leader. China should start by forming alliances from its own neighborhood. Geopolitically speaking, China must attain the strategic support of surrounding countries in order to achieve the goal of "national rejuvenation." It is hard to imagine that China can become a leading world power without a majority of its neighbors accepting its role as the regional leader. The task of national rejuvenation is not only much more difficult than economic development but also requires a different foreign strategy, which gives the top priority to military cooperation with surrounding countries. It is almost impossible for a power to play a leading role in the world when it does not have a safe neighborhood. It is unrealistic to argue that China is able to make an alliance with most of its neighbors in the short term. Nevertheless, there is potential for Cambodia, Laos and the six members of the Shanghai Cooperation Organization to upgrade their relations with China to full-fledged military allies, like Pakistan, with the title of all-weather strategic partnership of cooperation. The U.S. is certainly the major strategic competitor of China, but its conflict with some of China's neighbors produces the possibility for those states to return to China for protection. Those states, particularly most of the ASEAN states, prefer no regional military dominance from either the U.S. or China. Making an alliance with both China and the U.S. is a strategic approach similar to non-alliance strategy helping them to reduce dependence on or threat from either China or America. In fact, a deeper bench of allies for China would provide a counter-balance to America's reach, and make the world a more peaceful place. Most people in the West may prefer a unipolar world led by the United States, but not all the world sees it that way. A global balance of power tipped in favor of any one country creates more problems than it solves. All ASEAN states know that the only way to maintain ASEAN's leading role in regional security affairs is to maintain the balance between China and the U.S. and force them to compete for ASEAN's support. China made the right decision to establish an economic strategic partnership with those countries, including America's European allies, who have neither border disputes nor security conflicts with it, while military alliance is not practical at present. Among all of its neighbors, Japan, the Philippines, Vietnam and North Korea have the least possibility of making an alliance with China. Although the Treaty of Friendship, Cooperation and Mutual Assistance between China and North Korea has not been abrogated, it has become merely nominal. There have been neither military relations nor state summits between these two countries for years. China has to be patient to wait for the domestic change in these four countries, which will change their policy towards China. The Philippines could be the first one because its current president, Benigno Aquino III will step down next year in accordance with the Philippines constitution. In fact, there is little chance of a new Cold War given that ideology is not a core conflict between China and the United States. China should learn from the competition between the U.S. and the Soviet Union in the Cold War. The failure of the Soviet Union is partially due to its lack of strategic credibility to its allies, namely those who did not trust Soviet security protection. On the contrary, most of its allies were fearful of Soviet military might after its military interventions into Hungary in 1956 and Czechoslovakia in 1968. That is why the Warsaw Pact was ended before the collapse of the Soviet Union, after East Germany took the lead to sign out this military organization in 1990. In contrast, America's alliance credibility made a great contribution to its winning of the Cold War. This history can explain why Obama's rebalancing strategy gives the top priority to relations with traditional allies. Many people both in China and America have argued that the world would fall into a new Cold War if China adopted an alliance strategy. But an alliance network is only one of the necessary conditions for a Cold War, rather than a sufficient one. In fact, there is little chance of a new Cold War given that ideology is not a core conflict between China and the United States. Millions of Chinese and Americans visit each other's country annually, not to mention the extensive economic ties between these two countries, factors which also reduce the chance for a new Cold War in the visible future. 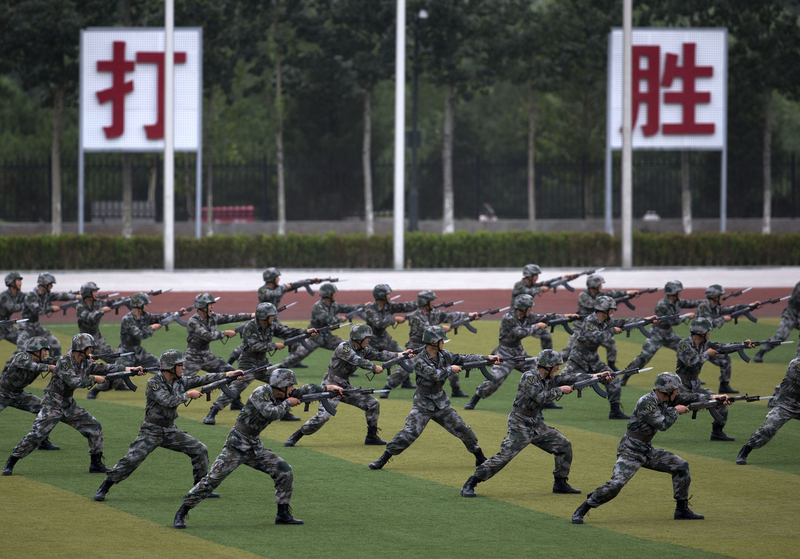 It will be crucial to the whole world to prevent military clashes between China and the U.S. and maintain their competition peacefully when China becomes a full-fledged superpower in the next decade. Because conflicts and competition between these two giants are increasing, preventative security cooperation becomes more important than economic cooperation. Establishing norms to govern cybersecurity is a typical case. If China makes alliance with neighbors, especially American allies, it has some function of preventative cooperation. It can help to maintain regional peace in three aspects. First, it will reduce the security conflicts between China and its neighbors after they become allies. 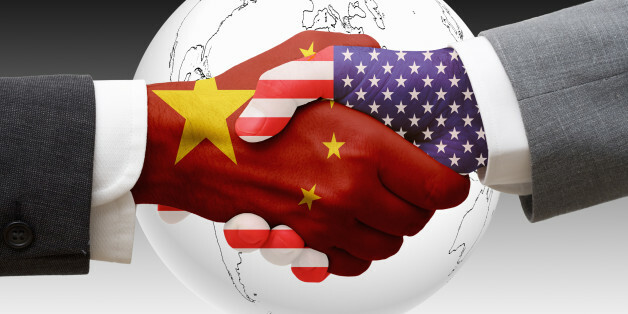 Second, it will decrease the danger of American involvement into conflicts between its allies and China. Third, it will transfer the asymmetric military balance to relative symmetric balance in Asia Pacific, making both sides more cautious about any military action.